Provide comfort for the family of Betty Cannon with a meaningful gesture of sympathy. Betty Lou Cannon, 79, of Independence, IA died Saturday, January 12, 2019 at her home in Independence, IA. Betty was born on November 9, 1939 in Troy Mills, IA the daughter of Andrew P. and Ruth I. (Peyton) Johnston. She grew up on the family farm and attended Elementary School in Troy Mills. She was a 1958 graduate of the Quasqueton High School, Quasqueton, IA. She married the love of her life John F. Cannon on February 15, 1959 and made their home in Quasqueton. She spent several years working as a Teller at Security State Bank in Independence. Betty and John purchased the John Deere Dealership near Rowley, IA; from Kaesser Implement in 1973. She worked as the Bookkeeper there; until their retirement in 1997. Betty enjoyed spending time in her yard gardening, crocheting and also loved preserving her memories in scrapbooks. She is survived by her two sons; Jeff (Jenny) Cannon, Marion, IA, and Craig (Fayla) Cannon, Rowley, IA, five grandchildren; Jason Cannon, Katie (Bryan) Ihle, Brittany (Shawn) Miller, Max Miller, and Scott, Miller, two sisters; Yvonna Gericke, Quasqueton, IA, and Janet Franck, Quasqueton, IA. She is preceded in death by her parents, her husband John Cannon in 2015, and a brother, George Johnston. 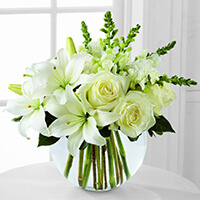 To send flowers in memory of Betty Lou Cannon (Johnston), please visit our Heartfelt Sympathies Store. 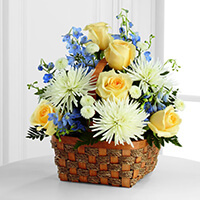 Kevin and Pam Larson , AFIA, and others have sent flowers to the family of Betty Lou Cannon (Johnston). So very sorry to learn of your mother's passing. I am sure she will be deeply missed by all. Our condolences Jeff, Jenny, and family. Our thoughts and prayers are with you. Kevin and Pam Larson purchased the The FTD Heavenly Scented Basket for the family of Betty Cannon. AFIA purchased the The FTD Special Blessings Bouquet for the family of Betty Cannon. John & Cindy Bloomhall purchased the Serenity Wreath for the family of Betty Cannon.